P-036-50, heavy duty, jumbo size strap connector, plastic tri-glide comes with 2 3/8" outside diameter and 2" inside diameter. 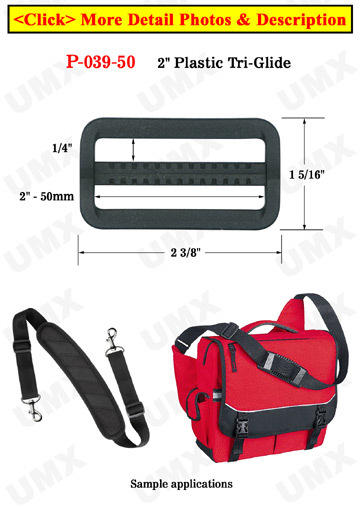 It is a great designed strap buckles for adjusting strap length. It is great for apparel, backpacks and crafts making.